zocster, anon(3641385), kjtaylor1 and 3 others like this. 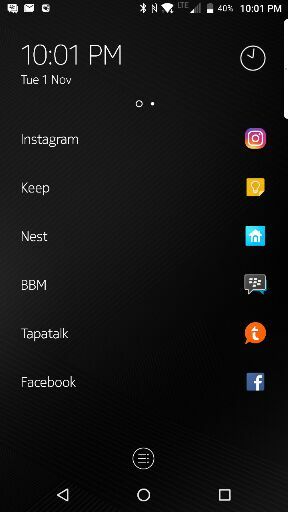 Keep an open space at left (work left hand on my DTEK60) to double tap to close. johnnywadiii, bb624 and bigjman like this. Egod101, tonythecanuck, johnnywadiii and 5 others like this. Did you arrange your screen like that, or did it come like that? Here's mine. 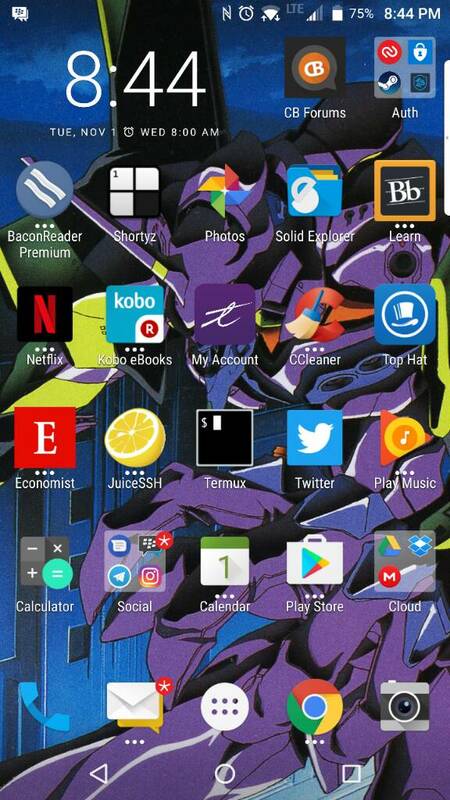 Using stock launcher. anon(3641385), kjtaylor1, andy957 and 1 others like this. Last edited by piko 72; 10-31-16 at 05:00 PM. playbookster and andy957 like this. The Thread "Priv Theme" is awesome. 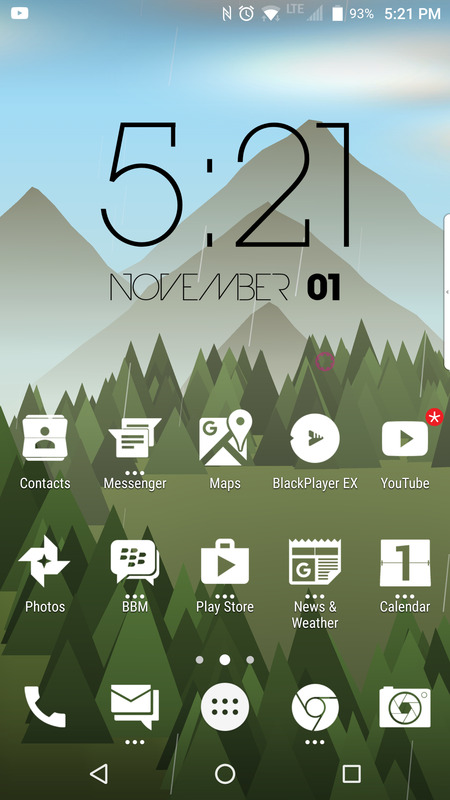 i saw some themes and homescreens that are just amazing, hope a lot of DTEK60 owners post here as well. anon(3641385) and wackydooster like this. Denise in Los Angeles, 00stryder and anon(3641385) like this. 00stryder, madh263362, anon(3641385) and 2 others like this. Not on this post. Like showing the camera's capabilities. Wrong post, though. I'm using Nova Launcher with the Crispy icon pack. 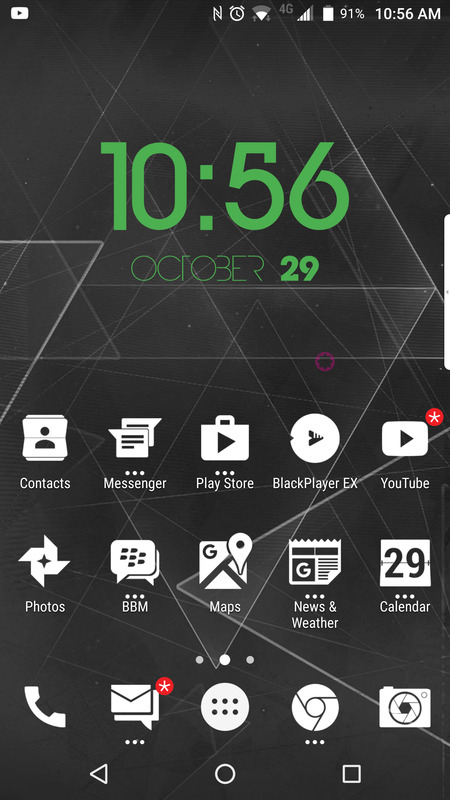 Clock widget is the Digital Clock Experia app and the wallpaper is from the Backgrounds app. Egod101, vagos2006, anon(3641385) and 2 others like this. What weather widget you using? anon(3641385) and andy957 like this.